In this 3M training program you will receive hands on training using IJ 180 and 1080 colour change film. 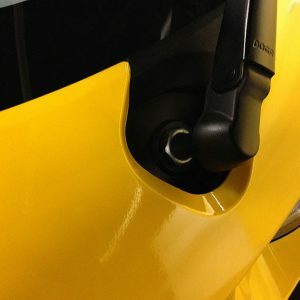 Learn about 3M materials and see why they are the most user friendly and best products in the market. 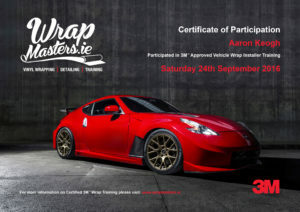 See and use all tools needed to create a successful wrap with demonstrations of each tool throughout the day. 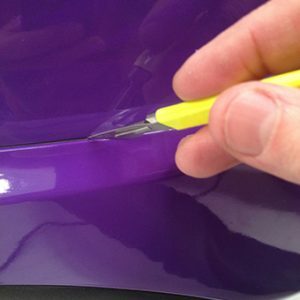 Master your squeegee technique and learn how to handle material in difficult situations. Questions and Answers are encouraged throughout all wrapping course and 1:1 allocated time will be of focus to ensure students get good hands on training and learn as much as they can in the timeframe. All participants will receive an official 3M Framed Certificate. Improve your skill level and confidence. Understand how best use of 3M material features can assist you to increase your productivity and reduce failures.